Over the last decade the spending decisions of HRM Council have cause many to raise an eyebrow. A lack of vision and a decade of poor leadership has resulted in the many high profile mis-managed projects we’ve seen. Halifax needs to spend smarter on appropriate, affordable projects while maintaining our existing assets and services at a high standard. Spending smarter means identifying community objectives and developing affordable projects that meet the community’s needs. 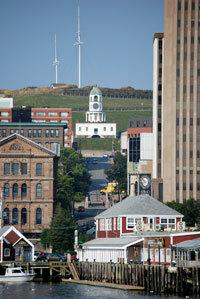 Halifax should live within our means. Create a program of fiscal restraint that stops taking advantage of citizens through tax increases based on property assessment increases. Establish a policy whereby the average tax increases should never exceed the average increase in citizen’s income. Engage citizens in meaningful discussion around budget time, with sufficient time and information to help make informed choices. Ensure that “deferred maintenance” stops and ensure that we maintain our buildings, bridges and roads today rather than pushing it off onto future generations. Recognize that money is only saved through efficiency if the services its funds don’t suffer as a result of imposed efficacies. Recognize that urban and suburban areas will receive different and higher service levels than the rural (County) parts of HRM, while ensuring rural HRM receives service at a high a level as any other rural part of Nova Scotia.